After the success of Sainsbury’s range of vegan ‘Gary’, it’s no surprise that Tesco are keen to get in on the action with the launch of their very own range of vegan cheese, including a blue cheese! 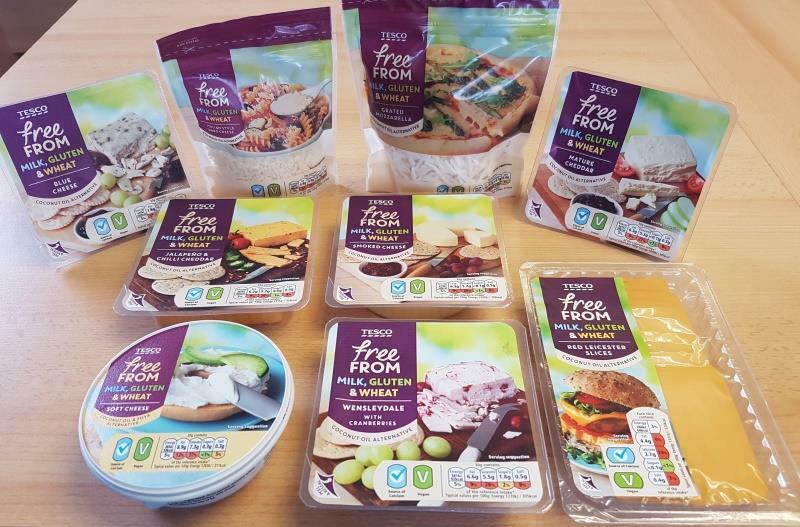 When Sainsbury’s announced the launch of their extensive range of vegan cheese in stores across the country, it was met with joy by vegans up and down the country! In fact, the range was so popular that sales exceeded predictions by over 300%! So it comes as no surprise to hear that Tesco are keen to get a slice of the action, and have teamed up with Bute Island Foods, who also make Sainsbury’s range of vegan cheeses, to create their very own range of coconut and soy-based cheeses. What’s in the new range? The new range is available in most stores now!